Greek life is the most exciting and rewarding student extracurricular activity here at OSU. It allows you to easily increase your social network, academic success, and leadership skills; things that pay off throughout college and as well as the rest of your life. It is also a fantastic home-away-from-home, and a great support system to have right off the bat. 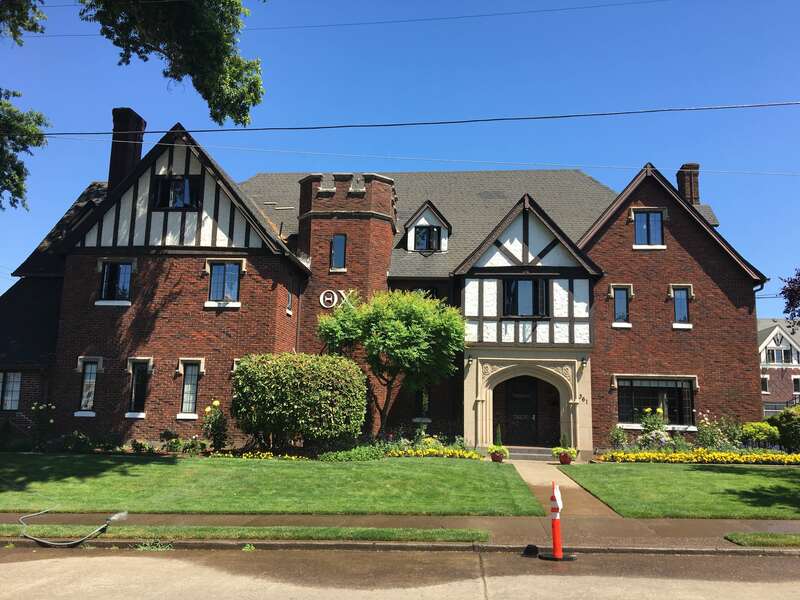 Theta Chi has been a part of OSU since 1916 and is full of tradition and history that us brothers are al proud to be a part of and to contribute to. Here at Theta Chi we have a diverse group of members, with over 20 different majors, and we come from all around the US. As a house, we strive to be well rounded gentlemen We are very active in IM sports and commit ourselves to multiple IM sports every term. We are also active in serving our community as our members each annually dedicate at least 30 hours in serving the community through varies philanthropies and community service events on and off campus. Our house has put on three fundraiser concerts for the Fred Thompson foundation, Fender Music Foundation, featuring Mac Miller, Too $hort, and many other artists, as well as our annual philanthropy GI Theta Chi. We are proud to have our members involved in many extracurricular activities like NCAA sports, OSU Interfraternal Council (IFC), ASOSU, Business clubs, Academic Fraternities, and more. Being in a fraternity is not all work and no play; every term we have various events and themed functions for the public and as well with all the sororities of OSU. Our house is close with the sororities at OSU and we have participated in almost every sororities' philanthropy. We have received first place in Alpha Phi's Outlast: Greek Row, Kappa Delta's Mock Rock performance, and Alpha Gamma Rhodeo. In addition we received first place with our partners Kappa Kappa Gamma, in the 2012 All University Sing, the biggest Greek competition at OSU. Even with all these commitments we strive to maintain a high academic standard by keeping above the average of all male students at the university.